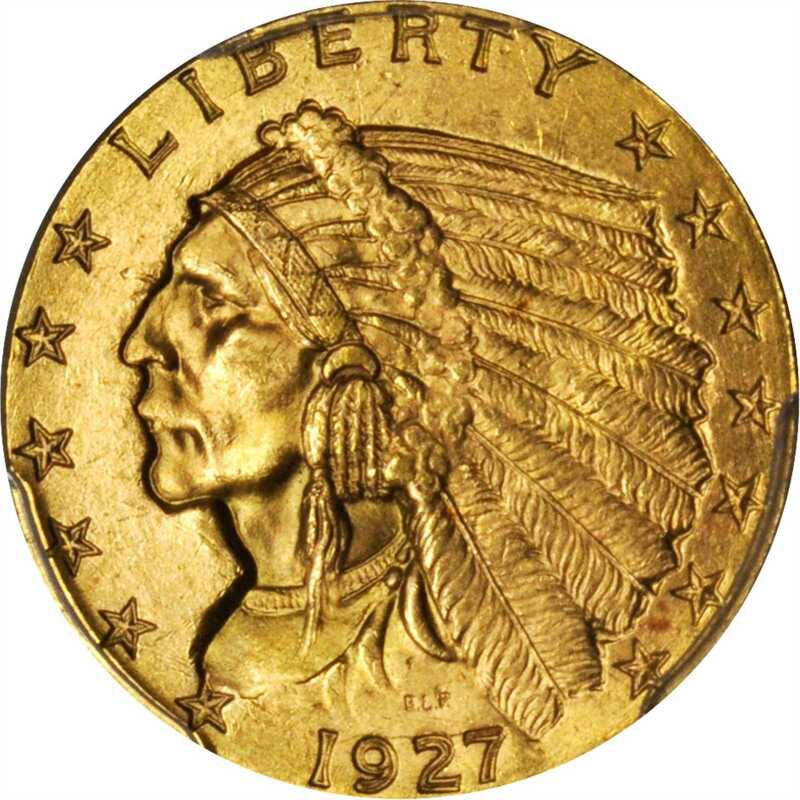 Lot:3027 1927 Indian Quarter Eagle. MS-65 (PCGS). 1927 Indian Quarter Eagle. MS-65 (PCGS).With a razor sharp strike, vivid golden-rose patina and bountiful luster, this frosty Gem would do equally well in a high quality type or date set.